Product code: T339 Categories: Antique, Necklace. 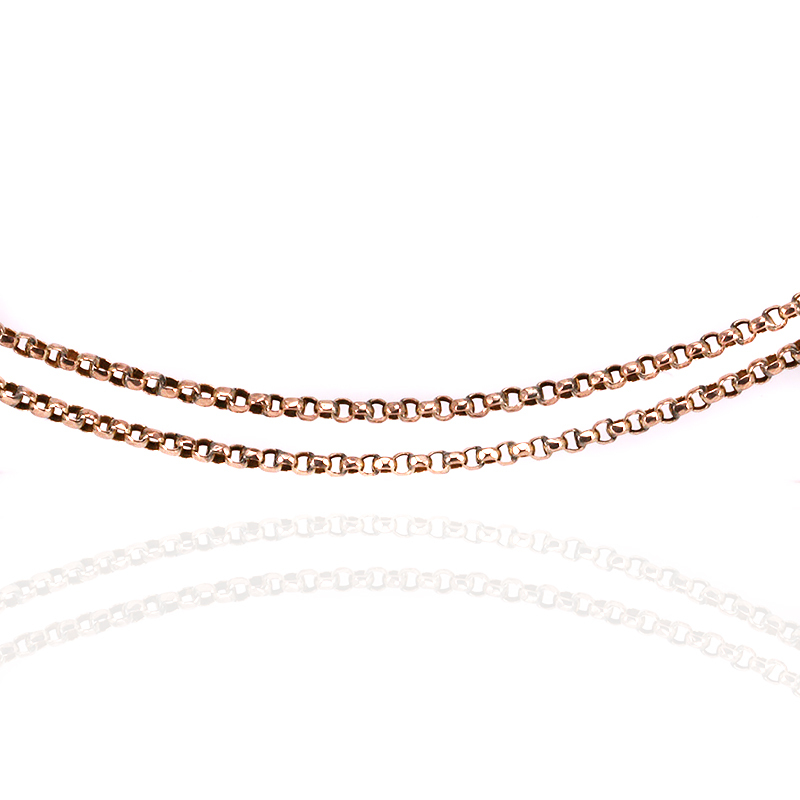 Popular in the Victorian times, guard or muff chains were used to hold the ladies fob watch securely or to attach to a woollen muff or hand warmer, and here is a very elegant antique Victorian era rose gold guard chain measuring 130cm in length. The links are facetted belcher links, which as they have angled edges, is much more attractive than the modern round belcher link and having this feature, manages to capture the light so well. Easily able to be wrapped double around the neck or left long, antique guard chains are as versatile as they are beautiful. Made in 9ct rose gold, the colour has that lovely soft warm colour that is so sought after today and looks so good no matter what colour outfit it is worn with. Fitted with its original swivel, this lovely antique guard chain is as beautiful as it is versatile. Tags: Antique guard chain, Antique muff chain. Guard chains were originally designed for a woman to wear around her neck with her fob watch attached. Muff chains followed the same principle and were designed to attach the woolen muff to, so when the lady went inside, she could remove her hands from the muff. This antique guard chain was in the late 1800’s and measures 130 cm in length.